George and Harold are having a normal kind of week. Yesterday they found out they were going to flunk fourth grade. Today they've created an evil, super-powerful monster. She's mean. She's got a fake-fur Evil Baddie costume - and she's having a REALLY bad hair day. With the help of her robots, the Wicked Wedgie Woman is on a mission to take over the world ...and she'll give a whopping wedgie to anyone who stands in her way! Watch out! 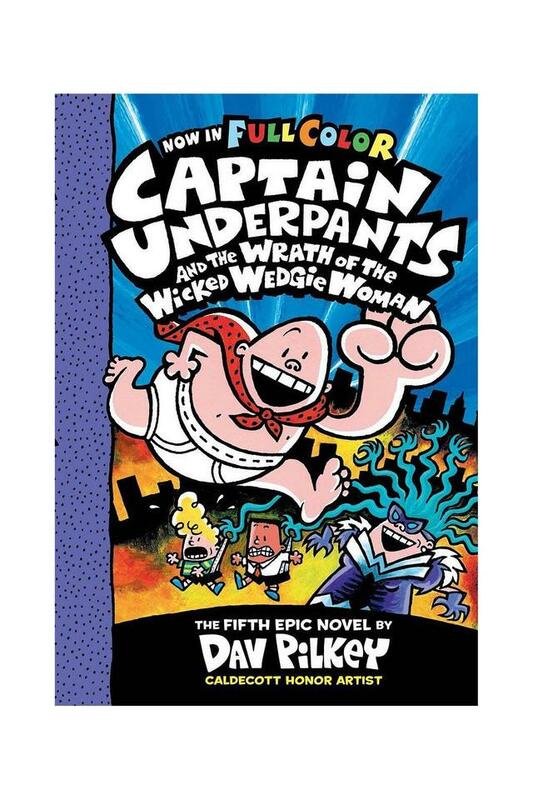 ?Latest full colour edition?This book is for every fun-seeking kid who never wanted to read a book?Dav Pilkey is the Caldecott Honor Award-winning creator of more than 40 books for children.